This article, written by Downing postgraduate student Teresa Segura-Garcia, was based on research in the College’s archive and was first published in the 2015 issue of Dow@Cam. It is reproduced here to mark the ‘UK-India 2017’ year of culture commemorating the 70th anniversary of Indian independence. The University will run a series of events over the course of the year, ‘India Unboxed’, to coincide with the anniversary. Frederick Howard Marsh is not one of Downing’s best-remembered Masters. However, he played a significant role in maintaining a historical feature that set Downing apart from all other colleges in Cambridge. On 19 March 1909, Marsh received a letter from Lord Morley, the Liberal Secretary of State for India. As head of the India Office, Lord Morley was in charge of regulating all affairs of the relationship between Britain and India, the British Empire’s largest possession. Lord Morley was writing to Marsh about what he coyly called “the situation”. There was, Morley reminded him, an agreement among the Heads of all the other colleges in Cambridge about what was to be done. It was now for Marsh to decide if Downing was going to fall into line. Morley’s “situation” was the increasing involvement of young Indian men enrolled in British universities in anticolonial activities. In 1905 Lord Curzon, the Viceroy of India, had effected the Partition of Bengal – a strategy of ‘divide and rule’ that was expected to quell the growing efforts of the Indian National Congress to secure independence for India. In fact, Curzon’s move had the opposite effect, galvanising large numbers of Indians into bolder and occasionally violent protests. This unrest soon spread to Indian expatriates in Britain –particularly in London, which had the largest concentration of Indian students in the country. Lord Morley now hoped to stop the student agitation from reaching Cambridge by convincing the Heads of colleges to cap the admission of Indian students. Marsh’s decision strengthened some long-standing ties between India and Downing College. The backgrounds of Indian students at Downing were intimately linked with the history of British expansion in India. Many of them came from the commercial elites of western India and Bengal – communities with strong ties to the British since the early days of the East India Company in the seventeenth century. By the mid-nineteenth century, with developments in transportation and communications making international travel easier, these elites sent their sons to Britain – and to Downing – in search of employment. They came in search of entry to the Bar, but also to the colonial administration: appointments to the Indian Civil Service could be obtained only after a period of study in Britain. 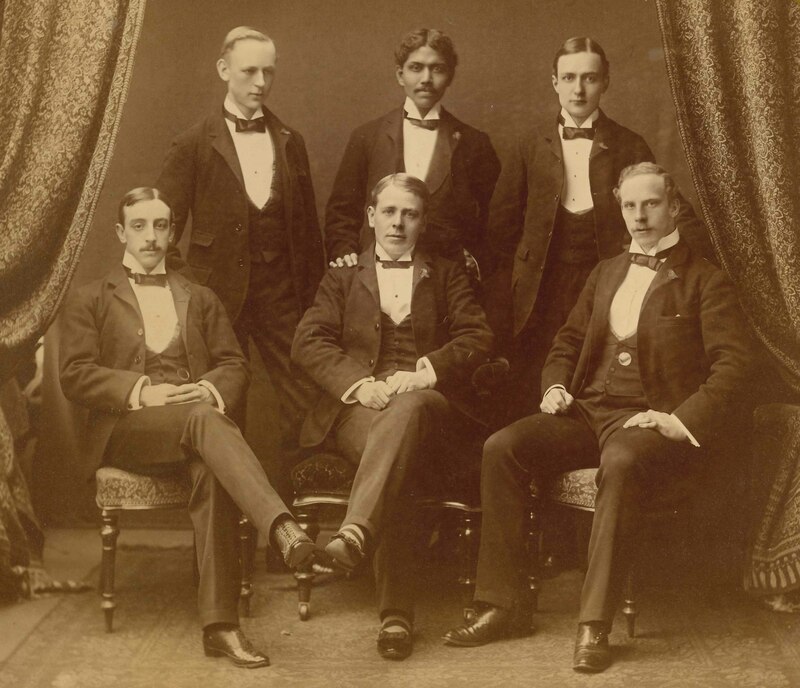 This photograph (below) shows Pulicat Narayanaswami Chetti, the second Indian student at Downing, who matriculated in 1884 and was admitted to the Inner Temple soon afterwards. Soon afterwards came Bomanjee Ardeseer Wadia (matric. 1886), a scion of the Wadia family, the dynasty of Parsi shipbuilders who had turned Bombay into one of Asia’s busiest ports. He was followed by other students from wealthy commercial backgrounds, such as Dhirojlal Panachund Shroff (1893), whose father was a Gujarati cloth merchant based in Ahmedabad. The political elites were who had forged alliances with the British were also well-represented, with students such as Pyare Lal Roy (1875), from a prominent landowning family of Bengal; Prince Fatehsinhrao (1905), heir of the Maharaja of Baroda, the leading princely state of western India; and Dharam Narain Kak (1906), an upper-caste Kashmiri whose father was the minister of the Maharaja of Jodhpur. Many of these students had been educated in Indian institutions that resembled the elite boarding schools of Britain, so they would have been no strangers to the traditions and customs of Downing. They lived cheek by jowl with British students who were no strangers to India themselves: some had been born in India to families in the colonial administration and many others would join the ranks of the Indian Civil Service after their time at Downing. In the late nineteenth century, imperial expansion was making elites around the world more alike in what they knew, thought and did. Downing College played a not unimportant role in that transformation, equipping its students with an imperial education of a formal and an informal kind. Indian students at Downing read Law, but also Economics and Classics. In lectures and supervisions, they learnt about the teachings of the Church of England, parliamentary oratory and the plight of Macbeth. In the College’s Literary Society, they listened to British students reading papers on Shakespeare and Sir Walter Scott, and presented their own. Dharam Narain Kak, for instance, gave a paper on the Mahabharata, the great Sanskrit epic. In the debating society, Mansurat Das Jaini (1905) spoke up in a debate on the decline of the British Empire, although there is no record of his stance. Indian students also participated in the College’s sports clubs. 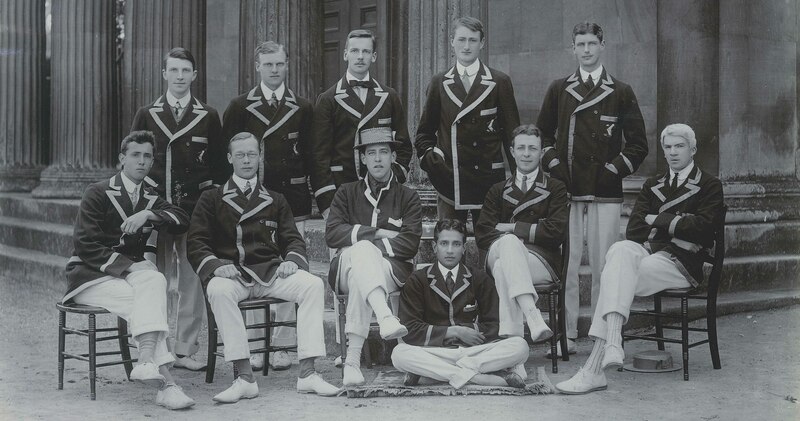 Jatindra Mohan Sengupta (1905) rowed as bow for the Downing College Boat Club, whose membership also included coxes Batuk Prabhashanker Pattani (1905, pictured below as cox in 1909) and Mohamed Gianullah Ghatala (1907). Pattani also played cricket for the DCCC. By taking a stance against the Secretary of State for India, the Master of Downing ensured that the college continued to provide an education for the Empire. This would not eventually benefit British designs in India: if what Indian students learnt at Downing gave them a new sense of what it meant to be imperial subjects, it also made them aware of the limitations of being imperial subjects. Upon their return to India, some of them would make significant contributions to the push for Independence. Jatindra Mohan Sengupta went from rowing for the DCBC to opposing British rule as a leader of the Indian National Congress in Bengal. Many other Downing alumni played key roles in the lead-up to Independence in 1947, but also in independent India, Pakistan and Bangladesh, in fields as diverse as law, politics, medicine, education and religion. Downing’s little-known but special relationship with India has no epilogue – the next chapter is to be written with the comings and goings of future Indian alumni. Reproduced with kind permission of Dr Teresa Segura-Garcia. Download the Downing College and India article as a PDF. 1 Chandavarkar, A., Keynes and India: A Study in Economics and Biography (MacMillan, 1989), p.157. 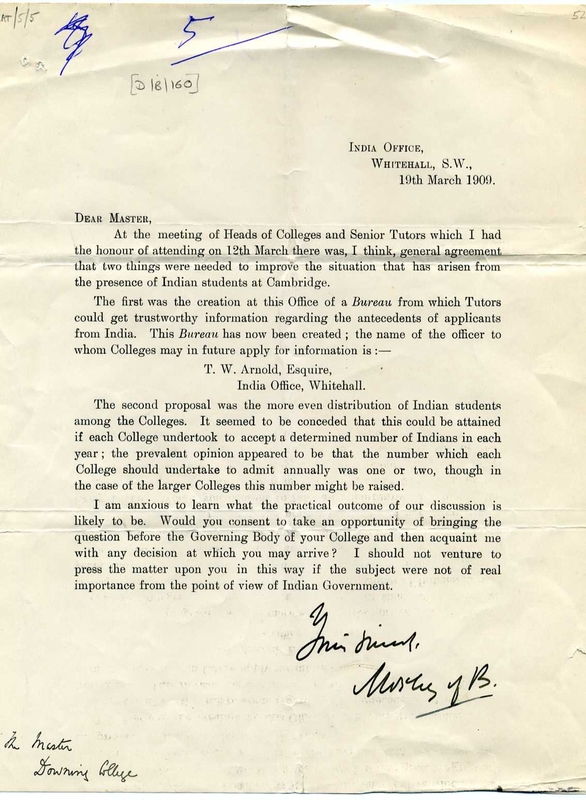 Letter to the Master, Howard Marsh, from Lord Morley of the India Office, regarding Indian students at Cambridge, 1909. Archive ref. DCAT/5/5. Downing College, Lent 1887, possibly a student society. Archive ref. DCPH/2/1/1. 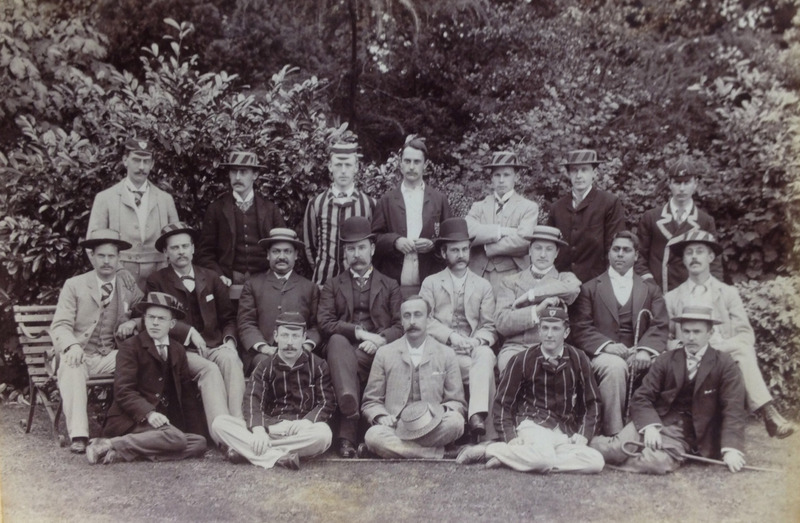 Downing College Long Vacation Group, July 1890. Archive ref. DCPH/8/1. Downing College May Boat, 1909. Archive ref. DCPH/2/3/2/53.